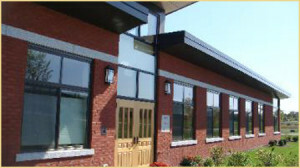 Eastern View Integrative Medicine provides medicine for the mind, body and spirit. Our LEED certified building opened in 2008. The mission of our center is to bring together practitioners of many modalities, educational backgrounds, and training. Within the building, these practitioners collaborate with one another to provide care that is more holistic and comprehensive. We recognize that by collaborating and working together, we can provide care that is exponentially better than if we worked alone. Our clients benefit from being part of such a revolution and vision in health care. If you would like to experience our building, feel free to contact any one of the practitioners on the site that seems to best address your health care concern. Once you meet that practitioner, s/he can help you tailor a plan to meet other practitioners that can complement your care.